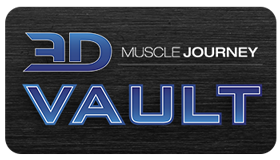 I know we’re pretty transparent on our weekly 3DMJ podcast where we discuss many bodybuilding topics. With that said, you might find this blog series I started back in February cool and interesting as you get to be a “fly on the wall” as I give coaching feedback to my weekly rostered athletes. If you happened to miss that first episode, you can check it out here. In the second episode below, I share four more snippets from my weekly check-in responses that involve three of my current contest prep athletes as well as one offseason athlete. I hope you find it interesting and enlightening!